TCI is proud to announce that TCI is now a NYC Certified WBE. Our NYC Vendor number is 1662398. If we can be of any assistance, please don't hesitate to contact us at 718-888-8898 or email us at sales@tcisystems.com . As a result of the large number of changes in product SKUs, TCI's website will still reflect the old products and will continue to be upgraded until all of the information is updated to reflect CradlePoint's current business model. As always, TCI will continue to upgrade all enterprise routers and adapters, shipped from TCI headquarters, to the latest modem firmware and system firmware. However, with CradlePoint's new business model, most of the routers are drop-shipped from Boise. TCI now holds minimal inventory. The LP4 does not have any firmware for Sprint and is not scheduled. All CradlePoint routers with LPE modems can be reprogrammed for a different carrier. This is a great feature of the LPE modems. If you discover that service for one carrier is not the best at a given location, you can 'flash' the modem for another carrier. Of course you must have a SIM card and a data plan for the other carrier. If you need assistance in flashing your router for a different carrier, give us a call at 718-888-8898. We'll be more than happy to help you. Unfortunately, both Verizon and ATT, are discontinuing their 3G service, as they are repurposing their equipment for 4G, advanced 4G as well as 5G. CradlePoint will discontinue all of their LPE modems/routers effective November 1, 2018. The LPE modem is a work horse of the CradlePoint product line. Addresses a critical issue where the modem cannot connect to Verizon's network in areas where Verizon network technology updates have occurred. Original modem firmware is not compatible with Verizon's newer network technology; this modem firmware update is required to maintain a connection with Verizon's network today, and in the future. This is an old posting, but I've left it here because it is extremely important. Any router with a Verizon LE modem which has GPS enabled is subject to memory corruption, resulting in the failure of the CradlePoint device. To avoid router failure, it is strongly recommended that the modem be upgraded to the latest firmware. Following is a link to documentation describing this flaw and instructions on how to perform the modem firmware upgrade. It is important to remember that all of the carriers are in the process of upgrading their networks for the new LTE-Advanced cellular transmission. As a result, it is important to ensure that your CradlePoint devices are operating with the latest modem firmware. Effective, July 17, 2017, CradlePoint has renamed the router firmware to NetCloud OS. Click here for the release notes associated with NetCloud OS 6.6.4. Remember, the easiest way to upgrade NetCloud OS is via NetCloud Manager (NCM). With NetCloud Manager, you can schedule the NetCloud OS upgrade for a time which has the least impact on your business, and it doesn't require you to wake up at a ridiculously early hour to upgrade the firmware manually via the user interface. The firmware upgrade screen is only available under the 'Group' category, as all routers within a group must have the same firmware release. It is important to keep your router at the latest firmware, as it ensures your router is operating with all of the latest bug fixes as well as maintaining PCI compliance. CradlePoint has eliminated the K-12 E-Rate bundles. CradlePoint has made announcements regarding their products, their business model, and the future of 3G modem support. 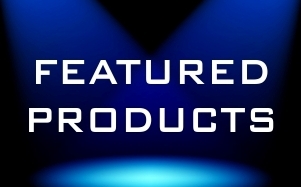 There are new product introductions and end-of-life notifications for some of the most popular products. But the most significant change is in the business model. In addition to changing their business model, CradlePoint has announced the 'End-of-Sale' for all of their LPE offerings, effective November 1, 2018. This is a decision that was made as a result of the Carriers (Verizon & ATT) indicating that 3G would be entirely replaced with 4G. The modem chip manufacturers then indicated that they would no longer manufacture the 3G LPE modems. So, if you need/want LPE CradlePoint product, please plan accordingly. CradlePoint is focusing their product line on 3 market segments, Branch, Mobile, and IOT. Effective May 31, 2018, all routers are sold as part of a package. The packages include the router, CradleCare 24x7 Support and a NetCloud Solutions Package. 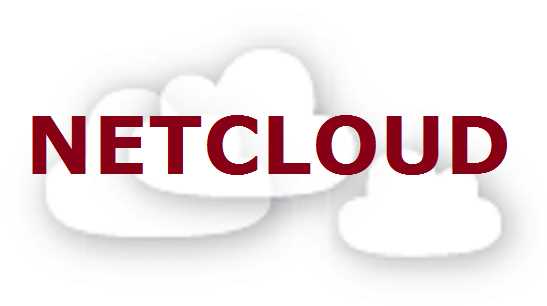 The NetCloud Solutions package consists of NetCloud Manager and NetCloud Perimeter. Variations on the level of NetCloud Manager exist and will be discussed for each Market segment. The Branch Market Segment is focused on Branch offices, retail, financial services. Basically, the focus is for locations where there is wired internet connectivity with 4G LTE failover or locations where wireless LTE is the primary connectivity. The AER2200 was introduced to replace the AER2100 and the AER3100 series. Additionally, the AP22 (access point) was added. The AER1600 remains as part of the Branch Office offerings. After May 31, 2018, the AER2200 and the AER 1600 series will only be sold in packages. The packages include the router, CradleCare 24x7 support and NetCloud Essentials. Essentials packages include the NetCloud PRIME feature set and a choice of the AER1600 and AER2200 Series routers with multiple 4G LTE modem options. An Advanced upgrade can be added to expand the NetCloud ENTERPRISE feature set. The CBA850 model is now included in the Branch Market Segment. After May 31, 2018, the CBA850 is only sold in packages. The CBA850 packages include the router with a choice of modems, CradleCare 24x7 support and NetCloud Essentials. The Essentials packages for the CBA 850 include the NetCloud Standard feature set. An advanced upgrade can be added to expand to the NetCloud Prime feature set, including features such as 'out of band management'. The last item which is included in the Branch Market Segment is the new AP22, an access point. The AP22 fits seamlessly into the AER2200 and is designed to be paired with the AER2200. Up to 4 AP22's can be connected to the 4 PoE ports. Additional AP22's may be added with the purchase of the CradlePoint PoE injector, part # 170732-000. As part of the change in CradlePoint's business model, the MBR1200B, the AER2100 and the AER3100 are no longer available for purchase. The Mobile Market Segment is designed around transportation. This includes, trucks, police vehicles, ambulances, etc. Basically, the focus in on anything that is moving. The IBR1700 was introduced to replace the IBR1100 series. The IBR1700 comes with an embedded 600 Mbps modem with 3 band aggregation. It is upgradable for a 2nd MC400 modem in the same box, i.e., no extensibility docks required. All models in the Mobile Market Segment now have active GPS. The IBR1700 has ODB-II features available. The Mobile Market Segment includes the new IBR1700 and the current IBR900 Series. The IBR950 is no longer be available. The important thing to realize about the Mobile Market Segment routers is that the routers do not come with antennas or a power supply. The units come with a DC GPIO cable and no antennas. Antennas, both cellular and WiFi, must be purchased separately along with any AC power supply, if required. These units are designed to be wired to the electrical system in the vehicle and to have an external antenna mounted on the vehicle. Thus, the standard cellular paddle antennas, the WiFi antennas and the power supply are not required. As in the Branch segment, all Mobile models are sold in packages. The packages include the router, CradleCare 24x7 support and NetCloud Essentials. Essentials packages include the NetCloud PRIME feature set and a choice of IBR900 and IBR1700 Series routers with multiple 4G LTE modem options. An Advanced upgrade can be added to expand to the NetCloud ENTERPRISE feature set. The IBR600B and IBR600C series routers have now been relocated to the IOT Market Segment. These units still come with cellular and WiFi antennas (for WiFi units) along with a power supply. As part of the new CradlePoint business model, the IBR600 series is no longer available for sale. This model will be sorely missed. Its small footprint and high reliability made it the highest selling model in CradlePoint's history. But its lack of memory and slow chipset make it unable to use the benefits of the NetCloud Essentials package. The IOT Market Segment is designed around M2M and IOT. The focus is on kiosks, digital signage, sensors, etc. A new model was also introduced into the IOT market segment. The IBR200 was introduced and replaces the IBR350 series. The IBR200 has an embedded Cat 1 modem with 10Mbps download and 5 Mbps upload. The IBR600C Series and the IBR600B Series routers were relocated into the IOT market segment. As in the Branch Segment and the Mobile Segment, all IOT models are sold in packages. The packages include the router, CradleCare 24x7 support and NetCloud Essentials. Essentials packages includes the NetCloud STANDARD feature set and a choice of IBR200 (new), IBR600B, and IBR600C Series gateway routers with multiple 4G LTE modem options. An Advanced upgrade can be added to expand to the NetCloud PRIME feature set. Prior to the 600M Modem, CradlePoint's naming convention for modem was 'LPn' where ' L' stands for 'LTE', 'P' stands for 'HSPA+', and 'n' stands for the category of LTE transmission. So, an LP6 modem handles LTE transmission, HSPA+ (3G) transmission and corresponds to category 6 LTE transmission. CradlePoint is now transitioning to defining the modems with the download speed. So, the 600M modem has a theoretical download speed of 600 Mbps. The modem achieves this speed by using triple aggregation, combining up to 3 bands for download transmission for a maximum theoretical speed of 600 Mbps. The 600Mbps modem has the same limitations as the LP6 modem. It will not fall back to 3G EVDO support for Verizon or Sprint. It will fall back to 3G HSPA+ for ATT and T-Mobile. The standard 600M modem is not available as a 2nd modem. The 600M FirstNet model is available as a 2nd modem. Telecommunications has gone in 2 directions. On the one hand, transmission has gone faster. We went from 2G to 3G to 4G and soon 5G. On the other hand, specifications have been introduced for slower, lower cost transmission. This is the new 10M modem contained in the IBR200 router. It is ideal for applications such as POS systems (a small amount of data, not necessarily at high speed) or applications that use sensors (temperature, gas, etc.). The 10M modem has a theoretical download speed of 10Mbps and a theoretical upload of 5Mbps. These modems are only available as embedded modems in the IBR200. Depending on which router package is ordered, the modem is configured for either Verizon, ATT or Sprint. The ATT modem firmware can be used for ATT, T-Mobile or Canadian carriers. The carrier firmware cannot be changed. Band 14 is the band used for the public safety network. The FirstNet public safety network is not fully deployed. CradlePoint introduced the MC400-600M-C-AT modem for band 14 support. It is a modular modem which can slide into any CradlePoint router which has a slide in slot for a modem. So, the MC400-600M-C-AT modem can be added as a 2nd modem in the AER product line or the IBR1700, and in the COR 1100/1150, 900/950, 600C/650C & 600B/650B with the addition of the extensibility dock (170675-000 for the 1100/1150s and 170700-000 for the 900/950s & 600B/650Bs). Thus, band 14 support can be deployed in emergency vehicles, mobile command centers and fixed locations, such as police and fire stations. The details of ATTs deployment and Verizon's competing product are evolving. Both carriers have been extremely quiet in their announcements. The CradlePoint MC400-600M-C-AT is available for use as a 2nd modem in the aforementioned products. For ordering simplicity, CradlePoint introduced 2 SKUs as FirstNet Bundles, one for the IBR1700 and one for the IBR900. MA3-1700600M-XFN -- The 1700 Bundle includes the router, an MC400-600M-C-AT modem which slides into the 2nd modem slot on the 1700 and NetCloud Essentials for 3 years. MA3-0900600M-XFN --The 900 Bundle includes the router, a COR Extensibility Dock (for the 2nd modem), an MC400-600M-C-AT modem which slides into the Extensibility Dock, and NetCloud Essentials for 3 years. TCI has introduced 2 packages to provide a Single SKU ordering for the FirstNet bundles and antennas. Visit www.firstnet.gov for information on the FirstNet project. Visit https://www.dhs.gov/requesting-wps for information on how to apply for FirstNet SIMS. For the latest up-to-date promotions, Click Here. CradlePoint has introduced a new modem, the MC400-600M-C-AT. This modem works with ATTs First Net Band 14 along with all of the other ATT Bands. The download/upload speed is 600Mbps/150Mbps. Although ATT has not fully built out the First Net Network, the modem functions with the 'FirstNet SIM' to give priority routing to those devices with a First Net Data Plan. One cannot just get a First Net Data Plan, the person/organization must be qualified before receiving the plan. In order to use Band 14, you must have the First Net SIM and the First Net modem. If you choose to put the First Net SIM into a 600M modem, you will get priority routing at the tower, but you will not connect to band 14. 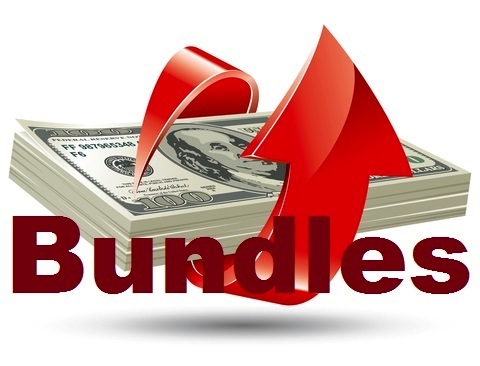 CradlePoint also introduced 2 'bundles' for the Mobile Market Segment. One bundle is for the IBR900-600M router. It includes the router, an extensibility dock and the MC400-600M-C-AT modem. Antennas and any power supplies are additional. The second bundle is for the IBR1700-600M router. It includes the router and the MC400-600M-C-AT modem. Again, antennas and any power supplies are additional. Verizon has a competing offering. It uses Band 13, which is currently available nationwide. Verizon's solution uses software priority routing at the tower. Of course you need a Qualified First Responder SIM. Information on how to qualify for all carriers is available at https://www.dhs.gov/requesting-wps. Verizon's solution relies on priority and pre-emption. Any user with a higher priority will preempt any lower priority users and get access to the tower. We are contractually restricted as to what prices we can advertise on our website. 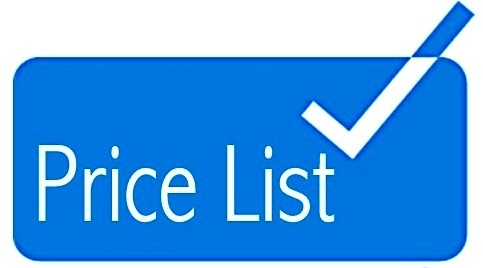 Please call TCI at 718-888-8898 or email us at CradlePoint@tcisystems.com for your best pricing. TCI is in the process of upgrading its Transportation Bundles as a result of the new COR products introduced and the pending 'end of life' for the IBR600/650 and IBR1100/1150 Series routers. Following is a link to the CradlePoint Warranty and Support page. If the CradlePoint router is purchased as a Solutions Package, it will have a limited lifetime warranty as long as the NetCloud Essentials is in effect. If the NetCloud Essentials is not in effect, any hardware purchased as part of a Solutions Package will have a 3 year hardware warranty. If the router was purchased without the Solutions Packages (prior to May 31, 2018), then all COR products (with the exception of the IBR350) will have a 3 year warranty. Any AER or CBA routers will have a 1 year warranty (includes the IBR350). To explain, if an AER1600 was purchased as part of the new SKU, BA1-1600LPE-VNN, then it would be covered under the 3 year hardware warranty, otherwise it would be covered under the 1 year warranty. The Branch Segment Models are best suited for Office/Branch locations. They come in WiFi models (ending in 00) and non-WiFi models (ending in 50). The routers included in this segment are the AER2200 (new) and the AER1600 Series. The AER2200 package is only available with the new 600M modem. The AER1600 Series is available with LP6, LP4 or LPE modems. The modems used in the AER LPE models are able to be programmed/flashed for another carrier. The AER LP6 (Cat 6) models are for LTE-Advanced. The Cat 6 modems are not able to fallback to 2G service. AT&T and T-Mobile models are able to fallback to 3G HSPA+/HSPA service. There is no 3G EVDO fallback (used by Verizon and Sprint) for Cat6 modems. The LP4 models (Cat 4) have the same restrictions as the Cat 6 modems regarding 3G fallback. However, the Cat 4 modems are not available for Sprint service and are not available in Europe. The Legacy models, AER31x0 Series, AER2100 Series are 'end of sale' effective May 31, 2018. * The LP6 models of the 16x0 series do not have the capability of adding a 2nd modem. These models do not have an embedded modem and use an MC400LP6 modem in the slot that would normally accommodate a 2nd modem. ** Dual SIMs do not allow you to connect simultaneously. It is not the same as 2 modems. Here is what dual SIMs allow you to do. You can have SIMs of different carriers or the same carrier. In both cases, if the primary connection fails, the unit can be configured to failover to the secondary connection. You can also use Dual SIMs to prevent data overage charges. 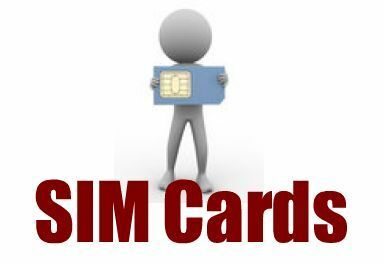 This requires 2 SIMs with different data plans associated with each SIM, preferably for the same carrier. The primary interface can be configured to monitor data usage. Once the configured maximum data usage is reached, the primary interface will be deactivated and the configured secondary interface will take over. Failover to a different carrier is not immediate. It can take in the range of 7 minutes or more. In order to failover to a different carrier, the unit must load modem firmware for the second carrier into the modem. For LPE modems, this requires manual intervention and consequently, is not practical. Once the firmware is installed, the modem then has to connect. This means that failover can take some time. Each of the AER models can be equipped with 2 Modems. They can be equipped for modems of the same carrier, different carriers, and combinations of LPE, LTE-Advanced (LP6), LP4 and Band 14 (MC400600M-C-AT) modems. The standard 600M modem may not be added as a 2nd modem. *The exception to the Dual Modem capabilities is the IBR16x0 LP6 models. These models do not have an embedded modem and only comes with an MC400LP6 modem installed in the slot where the 2nd modem is normally installed. One of the differences between the legacy AER models (excludes the AER2200) and the legacy IBR models (excludes the IBR1700) is that the AER models have more ports and are able to function as a switch. These ports are configurable as WAN or LAN. The ports are 10/100/1000 Mbps. The second main difference is that the Mobile models are designed for more rugged applications, with extended temperature ranges and extended power input ranges. The third main difference is the size. The legacy AER models have a much larger footprint than the legacy IBR models. And the last main difference is that the models in the Branch Market Segment come with antennas and power supply, while the models in the Mobile Market Segment do not come with antennas or power supplies. The CBA850 is available in models for Verizon, ATT, T-Mobile and Sprint (excludes the LP4). Models available include the tried and true LPE models. These models are available for all 4 carriers. They have the advantage of falling back to 3G service where 4G is not available or is of poor quality. This modem can be flashed for another carrier. So, if you initially purchase a Verizon model, it can be changed for T-Mobile service. However, this is a manual process. The LPE modems will reach 'end of sale' on November 1, 2018 and the 850 LPE models will no longer be available. Additional models are available with a Cat 4 (LP4) modem and a model equipped with a Cat 6 (LP6) modem. The LP4 modem is available for Verizon, ATT and T-Mobile. It is not available for Sprint. The LP6 modem is available for all 4 carriers.. Both the LP4 and the LP6 have carrier sensing. It senses the carrier of the SIM which is installed and automatically installs the appropriate modem firmware. The LP6 is much faster. It is faster because it uses carrier aggregation (where available). Carrier aggregation segments the transmission into 2 bands. The 2 bands are then assembled at the communications tower into 1 band. Cat 6 transmission has a theoretical maximum of 300 Mbps down and 50 Mbps up. The 850 does not have any WiFi capabilities. You may also use the 850 as a router. The easiest way to do this is by using the wizard in the setup. The default mode for the 850 is IP Passthru. In this mode, your router controls all of the routing and the 850 provides the communications. The communications may be Ethernet and/or Cellular. The CBA850 has several interesting features. First, it is white. Existing CradlePoint routers are all black and somewhat obtrusive if visible in any environment. This unit is designed to be ergonomically pleasing. The second feature is that the CBA850 can operate as a POE device. The unit can be placed anywhere there is a powered ethernet connection as well as good signal strength. It does not have to be mounted in a server room or any other location because of power outlets. And finally, the CBA850 has Out of Band Management (OOBM) capabilities. OOBM allows one to manage a standard router, such as Cisco, through its console port through the CBA850 and NetCloud Management (NCM). OOBM provides secure access to the serial console over LTE. OOBM allows one to make configuration changes remotely as if the engineer were present at the site. The final product added to the Branch Market Segment is the AP22 Access Point. The AP22 is designed to pair with the AER2200. Up to 4 AP22 access points may be powered by the AER2200 using the 4 POE ports. However, if additional Access points are required, CradlePoint has an accessory, part # 170342-000, a power injector which may be used to power additional units. The power supply which is provided in the box has a 30 Watt budget. This means that up to 4 devices totalling power usage of up to 30 Watts can be powered. Each AP22 requires 15 Watts of power. Thus, 2 AP22s can be powered with the default power supply. A 120W budget power supply, part # 170751-000 may be purchased to power 4 AP22 access points. The Mobile Market Segment Models are best suited for Transportation, such as trucks, police vehicles, ambulances, etc. ; things that require a small footprint, rugged housing, and greater temperature range. The Mobile Market products come in models for Verizon, ATT, Sprint and T-Mobile. The T-Mobile is a Generic model suitable for use in Canada. The modems used in the LPE models are able to be programmed/flashed for another carrier. This is a manual process. The IBR1700 model is available with a 600M modem (LTE-Advanced). However, before purchasing the 600M model, be aware that the 600M models are not able to fallback to any 2G service. ATT and T-Mobile are able to fallback to 3G HSPA+/HSPA service. Verizon cannot fallback to 3G EVDO service. The 600M modem has carrier sensing which will detect the SIM installed and automatically download the correct firmware for the carrier. The IBR1100 series has been extended past its 'end of sale' date of May 31, 2018. The existing workhorse of the CradlePoint line, the IBR600/650 finally reached 'end of life' on the same date. This model will be sorely missed. The IBR350 will also reach end-of-life on May 31, 2018. Probably the most important thing to remember is that no router purchased as part of the Mobile Market Segment will come with antennas or power supply. These must be purchased separately. *** End of Sale extended past May 31, 2018. The new model in the Mobile Market Segment is the IBR1700 Series. The 1700 is only available with WiFi (which can be disabled) and with the new 600M modem. There are several features about this which make it desirable for transportation use. 3 WiFi radios, 1 which may be used for backhauling - "getting data to the network backbone"
In general, the legacy IBR models have fewer ports than the AER series. The exception to this is the new 1700 model which has 5 configurable ports. The 1100 models have 3 configurable ports, 2 LAN ports and 1 WAN port. The 900 has 2 configurable ports, 1 LAN and 1 WAN port. The new 1700 has a larger footprint than the legacy models. This is because of the additional ethernet ports, the serial port, the GPIO ports and the ability to add a 2nd modem. The 1700 reintroduces the features that were removed from the 1100 series when the 900 series was introduced. See below. The 900 series has a faster chipset and more memory than any of the older IBR models. It has quad core and Wave 2 WiFi with MU-MIMO and 256 QAM. The 900 series can be equipped with the COR Extensibility Dock which provides for a 2nd modem, 2 additional ports and additional GPIO setting. The 1100 series is slightly larger. The 900 series is purpose built for transportation and for anyone who needs really fast WiFi. The 900 series has all of the features of the 1100 series below with 3 exceptions. The COR extensibility dock does not have an IP rating while the Dual Modem Dock for the 1100 series does. All of the above have workarounds which should not affect the 900's usage. The 1700 reinstates these features. The 1700 does not require the extensibility dock as it is a larger unit and there is a slot for the addition of 1 MC400 modem. The 1100 series was the top-of-the line COR router, but was scheduled for 'end of sale' effective May 31, 2018. The 'End of Sale' date has been extended until inventory runs out. CradlePoint IOT Market Segment has routers for the growing M2M market place. It is designed for Kiosks, POS systems, equipment sensors, etc. The new model in this group is the IBR200. The IBR200 is the replacement for the IBR350 which is 'end-of-sale' effective May 31, 2018. The IBR200 is only sold in packages, containing the router, 24x7 support and NetCloud Essentials. The IBR200 uses a new Cat 1 modem designed for slower transmission, 10Mbps down and 5Mbps up. 3 models are available, one for Verizon, 1 for AT&T and T-Mobile (for use in Canada) and 1 for Sprint. Unlike the other models in the IOT Segment, the IBR200 ships with 2 cellular antennas and 1 WiFi antenna. All of the other models in this segment ship with 2 cellular antennas and 2 WiFi antennas. The other difference between the IBR200 and the other models in the IOT Market Segment is that the carrier for the IBR200 cannot be changed. The 6x0B series has carrier sensing which will detect the carrier of the SIM and load the appropriate firmware. There is no Sprint firmware available for the 6x0B series. The 6x0C series has a manual process which allows for the carrier of the unit to be changed. The last difference is that the IBR200B and the IBR6x0C series have Passive GPS. The 600B does not have GPS. The 6x0B series uses the Cat 4 Modem (LP4). It is capable of a theoretical download speed of 150 Mbps and a theoretical upload speed of 50 Mbps. It has ignition sensing as well as auto carrier-sensing - the ability to sense the carrier of the SIM and configure the router with the correct firmware. However, as in all of the new products, the 6x0B does not support any 2G transmission and it will not support Verizon 3G transmission. It will support ATT and T-Mobile 3G HSPA+ transmission. There is no GPS support. The 6x0B series is available for Verizon, ATT, T-Mobile, and Canadian carriers. It does not support Sprint or any European carriers. At the same time the 6x0B series was introduced, CradlePoint introduced a new COR Extensibility Dock. It will allow for an additional MC400 modem of your choice. It adds 2 more 10/100 configurable LAN ports. It has extra GPIO ports for additional sensing. Most importantly, it has the ability to add a redundant power supply. So, if the 6x0B power supply dies, the 2nd power supply will keep the unit running without sending out technicians to replace the power supply. The extensibility dock does not come with a power supply. Redundant power must be supplied by the customer. Use of the extensibility dock requires a customer provided cable - wiring diagram for the customer provided cable. The 6x0C series is a replacement for the 6x0 series which is now 'end-of-sale' effective May 31, 2018. It has an LPE modem which is available for Verizon, ATT, T-Mobile and Sprint. This unit has more memory than the 6x0B series. The firmware for the modem may be changed with a manual process. The most significant feature for the 6x0C series is that it can fallback to 3G transmission for all carriers. So, if you don't have 4G or the reliability of the 4G is sketchy, the unit will fallback to 3G. This is the only unit in the IOT Market Segment which will handle 3G service for all carriers. However, as in all of the other LPE products, the 6x0C series routers will be 'end-of-sale' effective November 1, 2018 as a result of the chip manufacturers discontinuing production of the LPE modem. TCI Systems is focused on the CradlePoint Product line. We have been selling CradlePoint routers and accessories since 2010 and are currently a 'Premier' CradlePoint partner. TCI Systems, Inc. is a full service Network Integrator and Management Consulting firm that provides services and products to a full range of businesses from the very small business to the major corporation. For the very small and small business, TCI is essentially the outsourced IT/Networking Department. For the medium size business, TCI augments the business's IT staff and provides the skills and services that most businesses cannot afford or may not want to handle internally. For the larger companies, TCI provides knowledgeable, price competitive product sales and contract programming services. We are a full service networking and business infrastructure provider. As such, we have partnerships with major distributors with access to thousands of sku's and can provide you with competitive pricing across many product lines. We will always provide you with the correct product for your requirements at reasonable prices. You can always give us a call at 718-888-8898 to discuss your requirements.